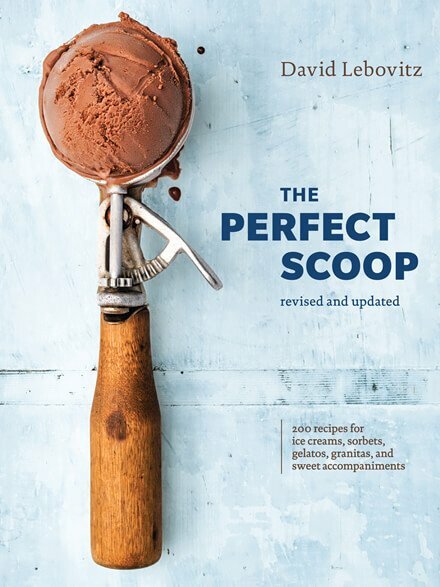 When I wrote The Perfect Scoop, I was excited for the opportunity to be able to write a book on ice cream that included the basics of making ice cream at home, but made sure it had a special emphasis on all the mix-ins and sauces and toppings that go inside, outside, and on top of everyone’s favorite dessert. (Including mine.) I had the time of my life doing the book, and after it was released ten years ago, I was surprised – and delighted – at the groundswell of support the book had, year after year. Initially, the publisher told me it was the fastest approval for a book he’d ever seen in one of their acquisition meetings, where they review proposed titles. 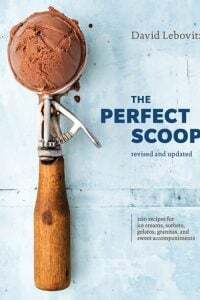 I wanted the book to be a guidebook to making ice cream, one that included the basics, with all the accompaniments, from mix-ins to sauces, that go inside, on top, and under those perfect scoops, and they were happy to oblige. 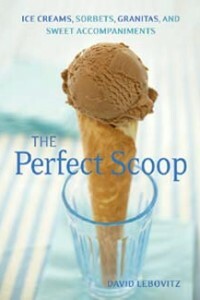 Since then, The Perfect Scoop has become one of the most popular ice cream books in the world. A decade later, I was just as excited to work on the revision as I was on the original. After all, who can resist a chance to churn up ice cream? Not me. My original copy of The Perfect Scoop was worn out from years of use. But the world of ice cream had changed since it all began. Back then, there weren’t artisanal ice cream shops in every major city, and there were just a handful of machines for making ice cream. Now there are dozens of options to choose from. 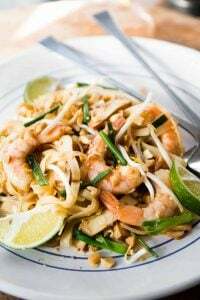 I kept in my mind how tastes had changed, and certain ingredients were more widely available and wanted to incorporate them into the book with some new recipes. Now it was okay to make ice cream spicy, or add bacon. Multicultural flavors and ingredients are now common items in our pantries. 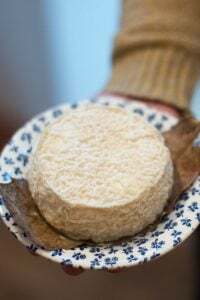 While I’m happy to hone closely to tradition, I was delighted to play around with ingredients that weren’t available a decade ago, but are easy to find today. Frozen cocktails are also now on the radar. Not the blue slushy ones squirted from machines, but ones made like a solid cocktail, with just the right balance of flavor and texture. Yes, the Mocha Freeze is still in there (page 126), but there’s now a Raspberry Frozé (above), Negroni Slush (page 171), and an icy-cool Spritz Sorbet (below). 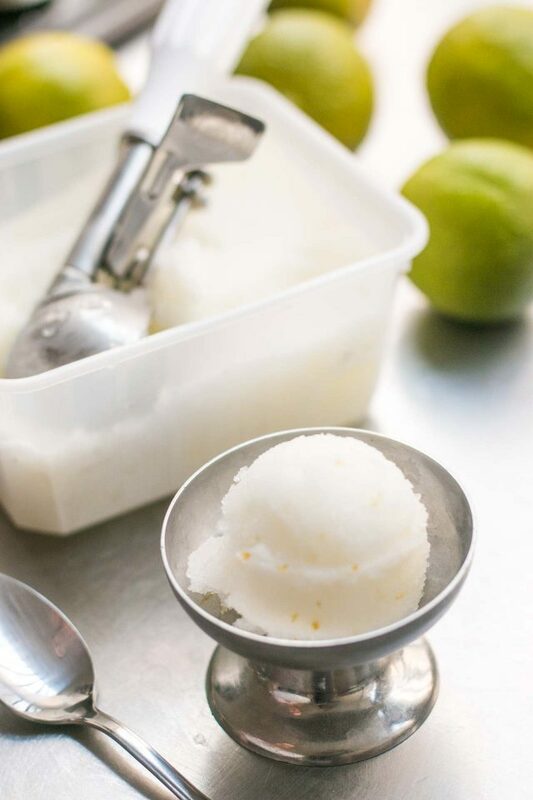 Gimlets have become a favorite around here, too, and the lime and gin-fueled Gimlet Sorbet (below) became our of my favorites in the book! But there’s plenty in the book for the whole family. Everyone will craque (as the French say) for Caramel “Crack” Ice Cream; caramel ice cream with an extra-generous amount of toffee crunch folded in, that I’m not apologizing for. 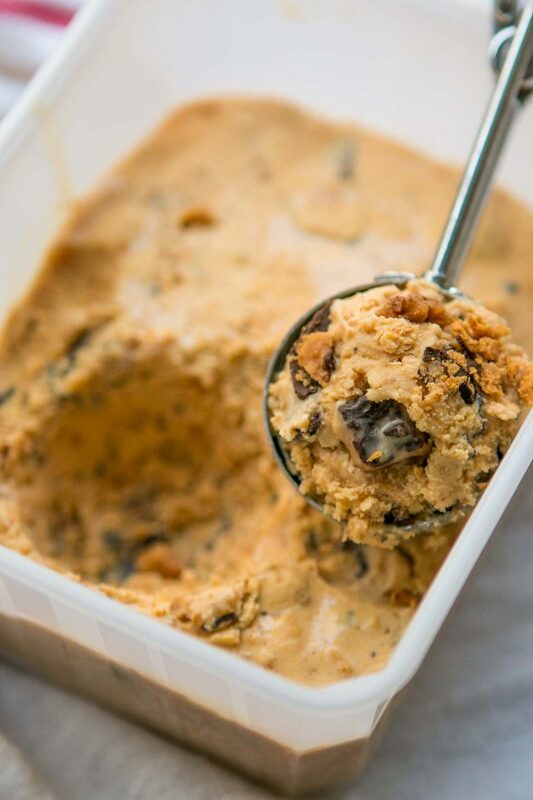 I went on a Prune Armagnac Ice Cream bender, that lasted a few days, testing the recipe every which way, only to realize that the original was still the best. 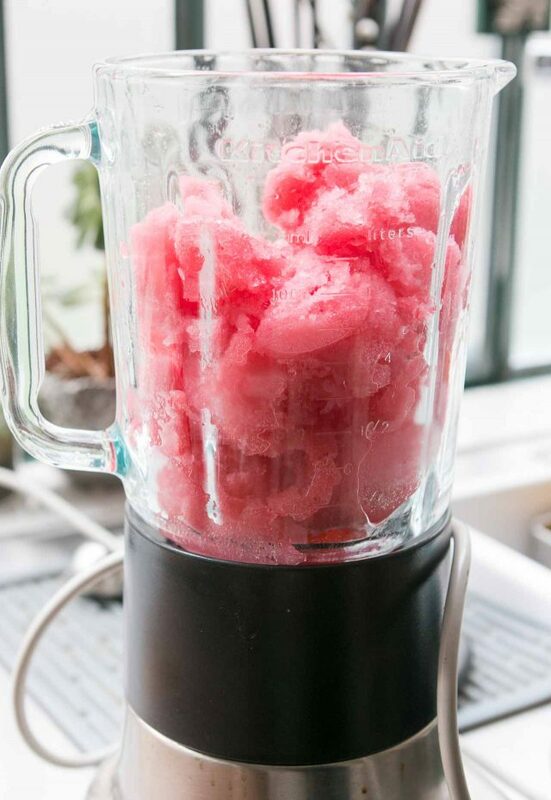 But there are still plenty of reasons to check out the revised and updated version, especially with summer coming, and you want to be ready for it with a batch of Negroni Slush, ready to go, in your freezer. A few recipes from the previous edition were retired to make room for the new. I also made some changes and modifications in recipes and techniques as I churned along, adding new stories and headnotes to a number of the recipes, and well as some step-by-step photos to make sure you get perfect scoops in your home. And finally, the book got a great new look courtesy of designers Ashley Lima and Serena Sigona at Ten Speed Press. (With apologies to them, and my editor Julie Bennett, for having to deal with an OCD cookbook author; I owe you all a few pints of ice cream…or frozen cocktails). And Ed Anderson, who took the photographs for My Paris Kitchen. 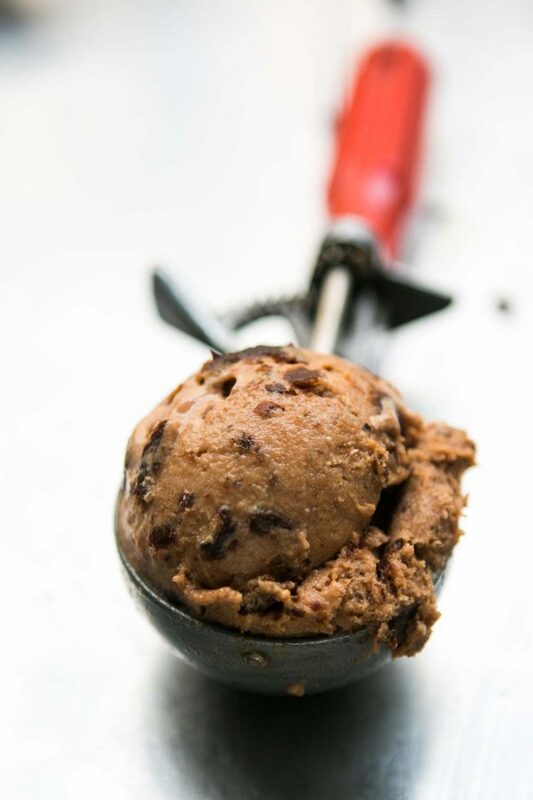 The pictures in this post were the ones I took while testing and retesting recipes, so when you open the book, The Perfect Scoop, you’ll not only find that it sports a more contemporary design, but the pictures are fresh, bright, and stunning. Get your copy today! The Perfect Scoop is available from Amazon, Barnes & Noble, Indie Bound, as well as at your local independent bookseller. Overseas readers can purchase it from Book Depository, which offers free shipping worldwide. We have and love the original. In fact, we just made your classic hot fudge (soooooo good!!!!) Sunday. It’s dangerous – what? We have whipping cream we have to use up? Hot fudge!! I guess I will have to check out the new version, as the old gives us so much pleasure. I got your book about 8 years ago and never looked back for another book on ice-creams and all goodies frozen! I did not know you had a blog then, I discovered you years later. I have made a lot of your recipes, but I have tones of cookbooks, started cooking when I was 12 years old and now I am 60. 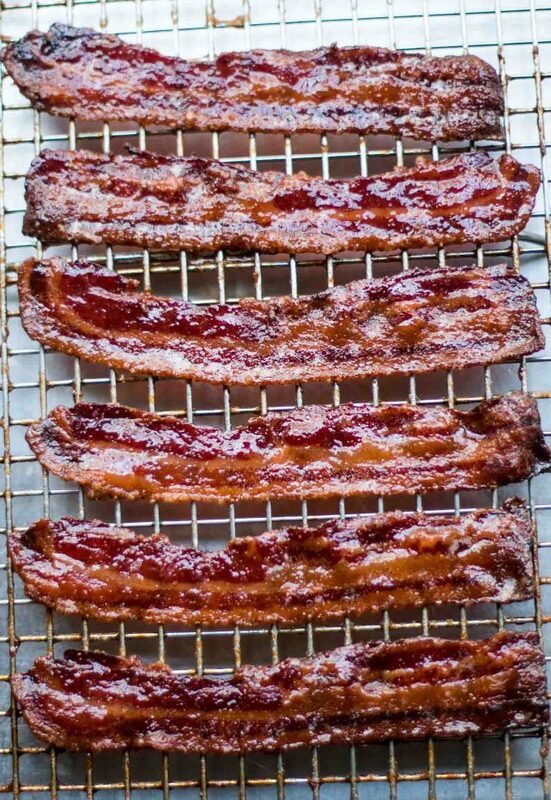 There isn’t another ice cream book in my collection, no need to get one but reading the above article, I believe it is time to get your new one, love bacon!!! to make matters more interesting at that time my husband ordered me an ice cream machine from Italy that cost a bundle, is so heavy to move around and it freezes ice cream in about half an hour. Thank you David, life is better with good ice cream! One of my favorite parts of l’Appart was when you talked about taking ice cream to your neighbors and pharmacist. I’m sure they’re all feeling very well taken care of with this new edition coming out! Well I’m going to have to order it; the original book was a main text for my thesis 5 years ago which I wrote on cookbooks as autobiographical documents. I LOVE it both for the recipes and the stories. Can’t wait to see the updated one. Becca, I love cookbooks that also tell a story and give a setting for the ritual of cooking. What a wonderful thesis subject. Now I must chase up some more. Here in Australia we have some wonderful cooks who also illustrate their lives within their cooking. Stephanie Alexander and Annie Smithers are just two. My copy is arriving today! Already have the original but am looking forward to the update. Spritz sorbet will be one of the first thing I make. 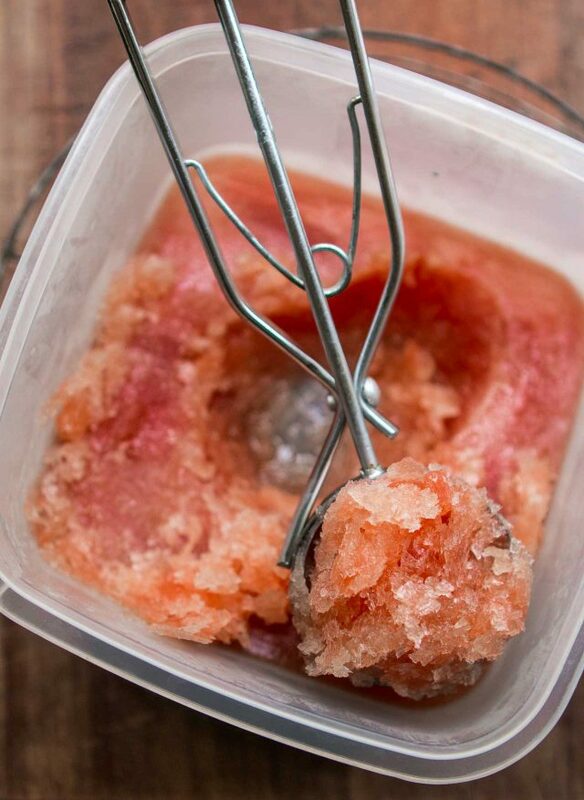 Just made your blood orange sorbet this weekend. Terry, Becca, Kristin and Anne: Enjoy the new book! Maritta: Thanks and glad you’ve been making good use of the previous edition. So have I! But it was fun to go back and revisit some of the recipes, and add new ones. A lot of people use the book as their “bible” to making ice cream (even some professionals!) which is why I originally wrote it. And yes, those ice cream makers with built-in compressors are big, and cost more, but I use mine all the time. I’ve had the same machine for ten years, so it’s definitely been a good investment. I have had my Il Gelataio for 38 years and use it all the time. A friend had one that he bought in 1992 and never used. he gave it to me 5 years ago so now I have two. The old one makes a generous quart in a little over 10 minutes, The “newer” one takes 20 minutes, but it has a removable cannister while the old one is fixed. I still go to the old one first. The faster churn produces a smoother ice cream. My copy of The Perfect Scoop is well worn and sort of sticky. I expect the new one will become equally used. I just bought the Magimix Gelato Expert yesterday in Netherlands. Haven’t used it yet as it needs to sit after transport but i expect it to be wonderful. I ordered your newest book today! Excited to receive it. David, are you doing a book tour, or will there be signed copies? I have the original hardback book and love it and use it. I just have to decide which edition I want – the hardback or the Kindle. I keep an iPad in the kitchen and use it only to access my own recipes and some of the books that I have in e-book format. I did not love my compressor machine and gave it away and started using one with a canister I keep in the freezer. I have had so much luck with it that I haven’t considered getting a new compressor machine. I look forward to seeing your new comments on machines in this book. Perhaps I will rethink my permission. Victoria, curious what you didn’t love about your compressor machine! 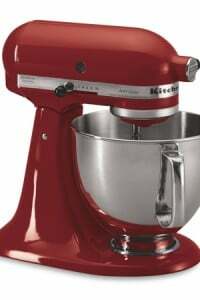 I’m thinking about getting one, but have never had an ice cream maker before. Are there any recipes for people without an actual ice cream maker? Ordered it! Loved the original edition; can hardly wait to investigate this one as well. Thanks! That Caramel Crack Ice Cream looks heavenly I am going to get the book just for that! I enjoyed your l’appart immensely that I did not want it to end. Your way of buttering up everyone with cookies and ice cream was hilarious. I wish I was there to wring Claude’s neck for all the miseries he put you thru. Hope you learn your lesson and heed every advice given by Romain. I agree he is a keeper. Wow! 10 years already. I remember when it came out, I wasn’t interested in homemade ice cream then, but now . . . can’t wait. Will you be doing any Bay Area book events? I want to buy the book now, but will hold off for a signature! You had me with the new cover!! I too have the original but just seeing that new cover…and now reading the blog post…going to order now!!! Very excited for the new edition! 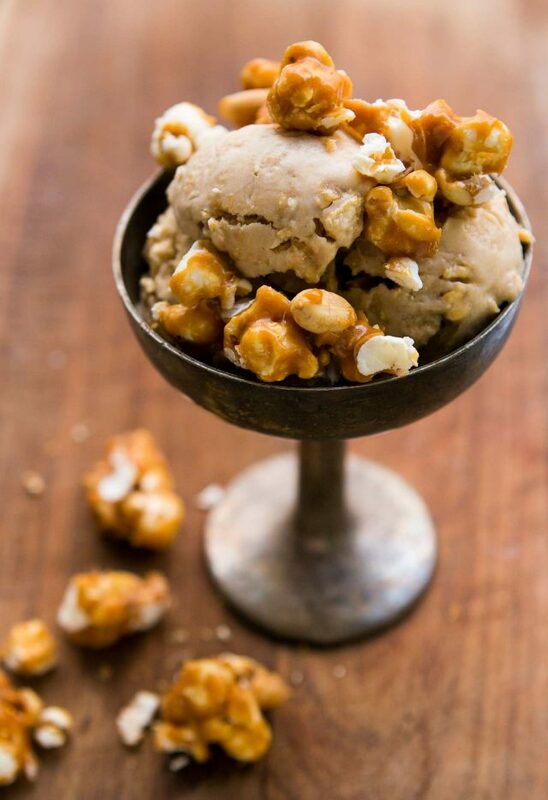 Wondering if you’ve tried the renowned Salted Crack Caramel ice cream at Ample Hills Creamery in Brooklyn NY? 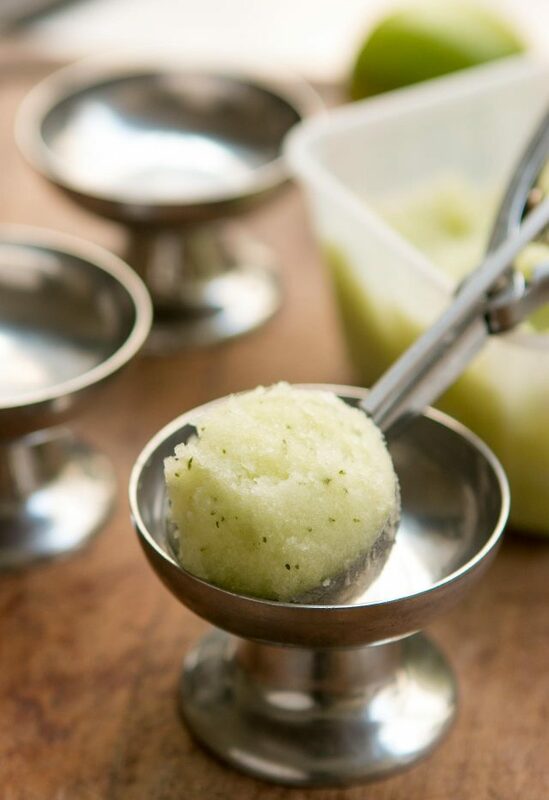 That gimlet sorbet looks faboo! Summer’s coming…so they say. Just had to tell you that when I went to Amazon to order your book I saw there is a copy of the older edition listed for over $700! Pre-ordered a while back David. Looking forward to getting it today! Been craving some tropical flavors (sorbets and ice creams). I just made a really good batch of Guanabana (soursop) ice cream last night. heidipi: Yes, I’ve had it. Mine is quite different but they’re both good, imho. SandraM: When they sent me the proposed cover a few months ago, I said, “Wow – it’s perfect!” So glad you like it too. Natasha: I was thinking of trying to go to cities and states where I couldn’t go in the fall on my last book tour, but I got some comments and messages from people upset I wasn’t going to their cities and states. (Some felt I was shunning places on purpose.) I really love going on book tours and meeting everyone, but I reluctantly decided it best not to go on tour this spring. Claire: Yes, there is a chapter on granitas, and there are chapters on sauces, mix-ins (which you could add to store-bought ice cream), and things to put ice cream on. You can also use this method for making ice cream without a machine. Okay, now you’ve given me a reason to buy the updated version. Here at our “shackteau” in SW France, I have no room for an ice cream maker. (We barely have room for the dog, although he’s bigger than an ice cream maker…) But the idea of having recipes for the mix-ins and sauces is an excellent one. Hi David – love your work! Do you have any ice cream machine recommendations or even tips for getting the most out of the machine ? I have one with a compressor-think it’s magimix brand, but find that it can take a long time to freeze, then final result can be icy. I have read from Heston Blumenthal to turn on for 1/2 hour before churning ice cream to make sure it’s really cold, also to pre freeze the container. Do you recommend these or any other steps? Yes, you must chill the machine down for at least 30 minutes. Turn the churn on as you pour in the mix and it will start freezing right away. If you put the mix in a room temperature bowl it will take forever to get cold and you will make slush, as you discovered. As I said on my Facebook post to your page, I just ordered it. When the original book came out, Mike bought me a huge Cuisinart ice cream maker for Mother’s Day and it’s had quite a few work-outs courtesy of your book!! I expect it to get many more after this new one arrives. 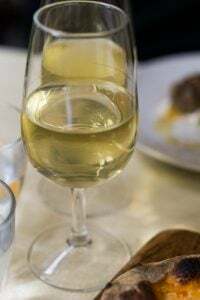 Just one question, do you have a recipe in the book or elsewhere that would be comparable to the coffee ice that is made and served at Rome’s Tazzo de Oro? That’s something I hope you have up your sleeve or can get me please!! 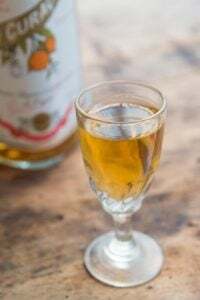 The LA Times published a recipe for granita di cafe last year and mentions Tazza d’Oro. There are not many books I would buy a revised version of, but this is one I will consider! It was my first ice cream book and I have acquired quite a few more, and it remains a go-to favorite. I feel like the recipes have interesting flavors without going over the top to try something different. Definitely a classic! I just ordered your book & I’ll probably donate my other books on ice cream after yours arrives. I LOVE & often make your Cinnamon Ice Cream recipe. 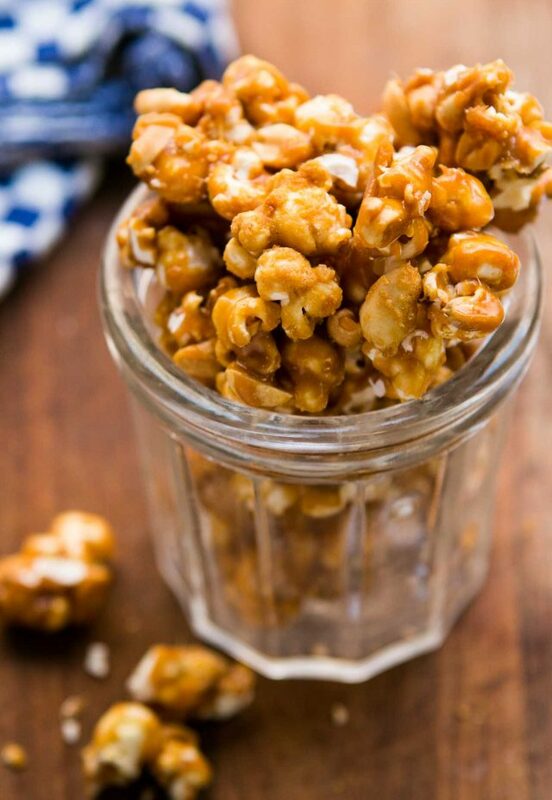 Thànks for making great recipes so accessible! 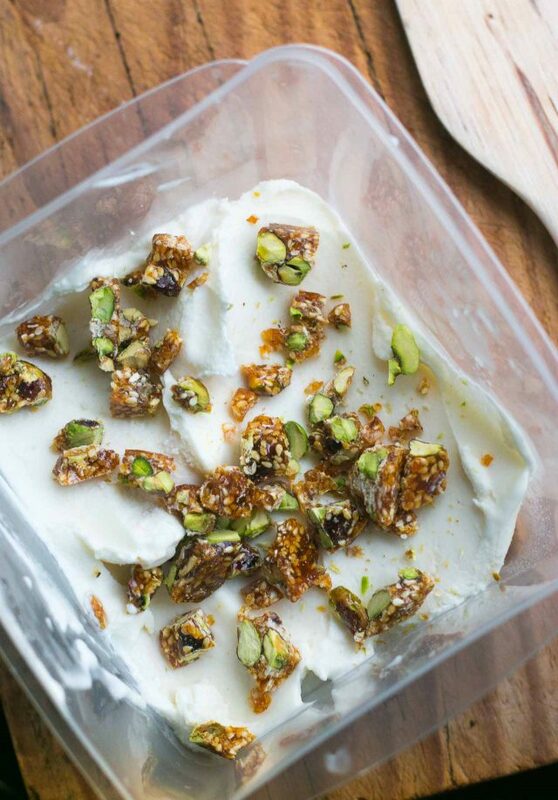 Ice cream certainly beckons…already ordered my book – can’t wait to try the recipes! I have been waiting for this new edition to be released but am unsure if the measurements are in metric or oz. I live in Australia and am wondering if i should wait for the book coming out in July that will be printed in the UK. This is my all-time favorite ice cream book. I’ve made many no-sugar-added versions of his recipes. This was my first exposure to uncommon ice cream ingredients like olive oil, Roquefort cheese, and chile powder. I can’t wait to delve into the new edition! Well, I have the original, and I certainly don’t need the… dammit, gotta have the Caramel Crack! PS: Frozé, heh heh heh:). Hi David, this book was what started me on my ice-cream making journey 10 years ago! Have loved every single recipe I’ve made from it. My friends got me that first ice-cream maker (the kind where you had to freeze the bowl) as a birthday present, and in return I made them customized ice-cream for their birthdays. I’ve since upgraded to a fancier, automatic one . This updated edition of your book will definitely be on my birthday list this year! I have the original book, bought when I purchased an ice cream machine 6 years ago. I have put that machine and your book to good use. Although, I had to cool my jets because that luscious ice cream was so very addictive and it showed – everywhere. Looking forward to purchasing the revised edition and hope I can hold myself in check. Pray for me. LOL! You mentioned there are dozens of ice cream machines to choose from now. 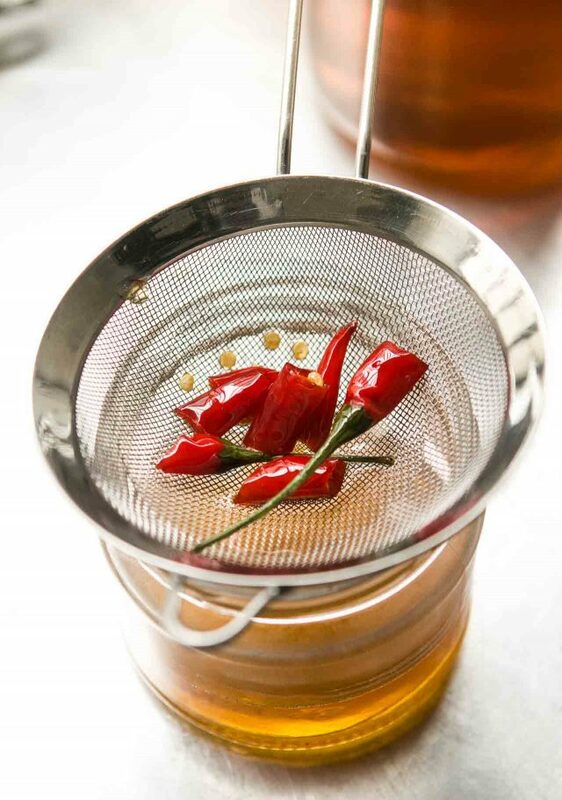 Do you still recommend the Cuisinart that you use? The one I own is no longer being made, but it was replaced by this one (which is probably as good, if not better, but I haven’t tried it.) It certainly is more streamlined. I recently tried this Breville one in the States, which I liked using, but they’re not available in France. This book of yours (the 1st ed) set me on the road of homemade icecreams, ever since it is kind of like The Book for me. Now I can’t wait my 4 mths old girl to age a few months and churn along with her – with the new edition from now on! I got an ice cream maker a few weeks ago and your book arrived this week so I’m all set! Ooh, David, I love this book and am excited to get the updated version. A few of my favorites are chocolate sorbet, toasted almond and cherry ice cream, Gianduja gelato and strawberry sour cream. But my most memorable ice cream making experience was in the 2nd time I made Aztec hot chocolate (apparently in 2011, as I often write notes in my cookbooks.) The 1st time, I made it per the recipe and it was simply amazing. The 2nd time, I was out of chile powder and substituted cayenne! Holy &%#@… it was like frozen fire… my mouth was confused… cold temperature but too spicy to actually eat! I still laugh about it. Your cookbooks are some of my all-time favorites and I can’t wait to try your updates. Just made the vanilla ice cream-turned out absolutely delicious. I have had issues in the past with it not churning/freezing quickly enough and therefore being icy, but this time I chilled the anglaise overnight, AND turned the machine on (I also have a Cuisinart) for about 20minutes to get it nice and cold before adding the mix. Love my copy of The Perfect Scoop, it’s an oasis in a sea of cookbooks with horrifically weird ice cream recipes. I just got your book and reading it reminded me of the thrill and taste of my parent’s homemade ice cream made in a hand cranked ice and rock salt machine on a hot Texas summer day. And I remember how excited I was when we got the new motorized machine. They made vanilla and also peach ice cream with the fresh peaches from our trees. It was fabulous — I had forgotten about it until I was looking through your book. In later years they made what we called Big Red ice cream made with Big Red soft drink, strawberries and sweetened condensed milk. In today’s artisan ice cream I’m sure it sounds laughable, but it was delicious. Thanks for keeping this craft alive, David. We kicked our “ice cream season” off early this year with a Flan Ice Cream. Looking forward to experiencing your new recipes! Question -in your newsletter is a scrumptious looking green soup with no further information. Please enlighten us, is it spinach? Broccoli? And the recipe, of course! Eagerly awaiting the arrival of my Amazon pre-order here in NZ. My old copy is tattered and annotated, but I won’t be retiring it from my shelves! The caramel-pear ice cream is an absolute must for my family every Christmas, it goes terrifically well with gingerbread cookies. Last days of summer here in NZ, and I have a daughter visiting soon, who is mad for Negronis, so I keep checking the mailbox. I think the cocktail slushies will be the first try-out. Just wondering how the quitting coffee is going? I’ve been trying to cut back, and even that is making me lose my mind! David this book is The Base of All Things Ice Cream. Fantastic. I know I will never taste another chocolate as rich as yours. A great variety, always beautiful photos and your writing style and humor is a blessing to us all. P.S. L’Appart was terrific, I laughed out loud often and felt for your trials. Glad it all worked out. Might have been nice to have you back here for us in the US but then your life, experiences and writing would certainly have not been the same. All the best to you. Glad you liked L’appart. It was quite a project, but glad it’s over…and there was ice cream at the end of it, too! Years ago, my daughter (chef) recommended the “Perfect Scoop” as the best book for making ice cream. She was right. I thoroughly enjoy all of your recommendations and will be eager to check a few out when I leave Pittsburgh, PA on May 1, 2018 and arrive in Paris. This will be our first trip. I am scared to death, “no Françoise” And the train strike has me very nervous about traveling to a few places. If there is anything I can bring you from Pittsburgh, please get back to me, I would be happy to get them. There are indeed strikes happening in France which are affecting train travel and flights on Air France. The SNCF train strikes are listed on their website by date. 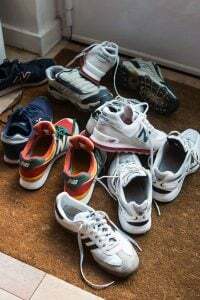 It’s anyone’s guess what will happen but if you’re traveling on Air France, you can call and change flights – I recommend doing that in the U.S. as the phone lines in France are swamped, plus some of those people may be on strike as well. I wouldn’t worry about not speaking French; people in France are accustomed to visitors! Manners count! The best shops have lines, sometimes out the door. Wait your turn. Monsieur or Madame will acknowledge you when it is your turn by saying ‘bon jour Monsieur”. It is your turn to say bon jour back and then ask for the item you want, or just point. If you point before it is your turn then you might not ever be acknowledged. Simple, Oui? My copy just arrived from Amazon today and I am both inspired and salivating while reading it!! I purchased an Ice Cream Maker a week ago, and wanted a recipe book to go with it, and the reviews online assured me this was the one – they weren’t wrong! 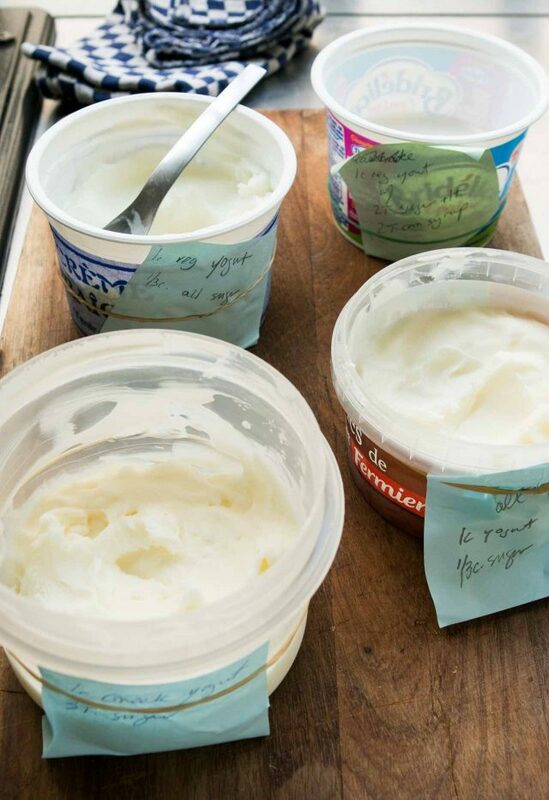 I cant wait to churn my way through all these amazing recipes! 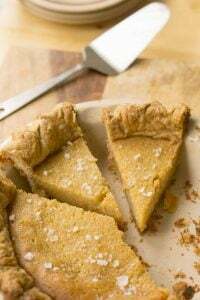 Just made your Easy Jam Tart recipe with a Fig-Ginger Jam and paired with Creme Fraiche ice cream from the first version of the Perfect Scoop …. rave reviews for both, but more for the heavenly ice cream. 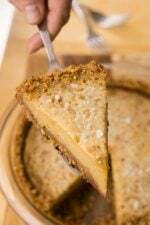 I also tried the tart with Meyer Lemon Marmalade – even better than the fig-ginger. Recently made the Chartreuse ice cream that was lite and fabulous …. on our list for many more repeat performances. 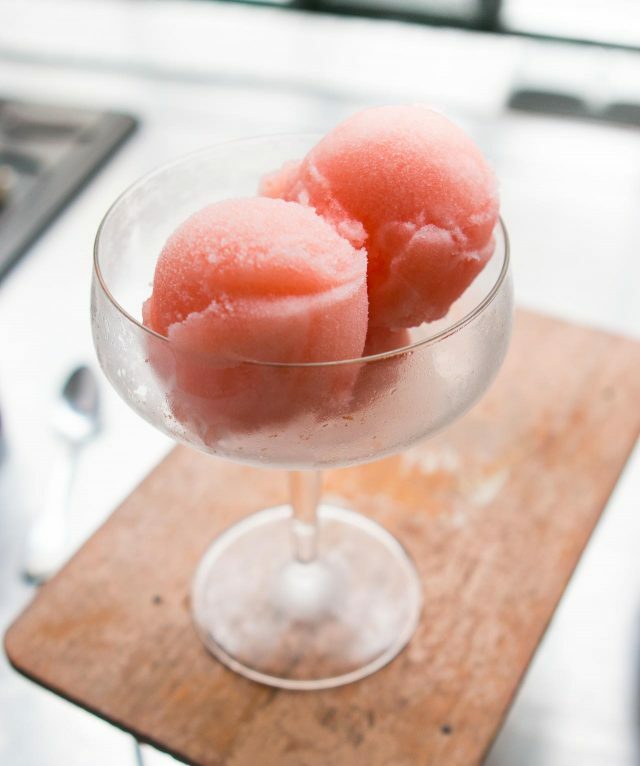 I’ve used many of the other recipes, and have used your recipes as guidelines to come up with a Blueberry-Zinfandel sorbet and a Mojito sorbet.